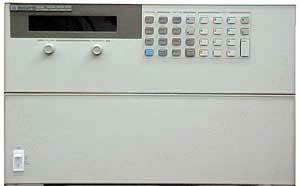 HP Agilent 6813A AC Source / Analyzer. 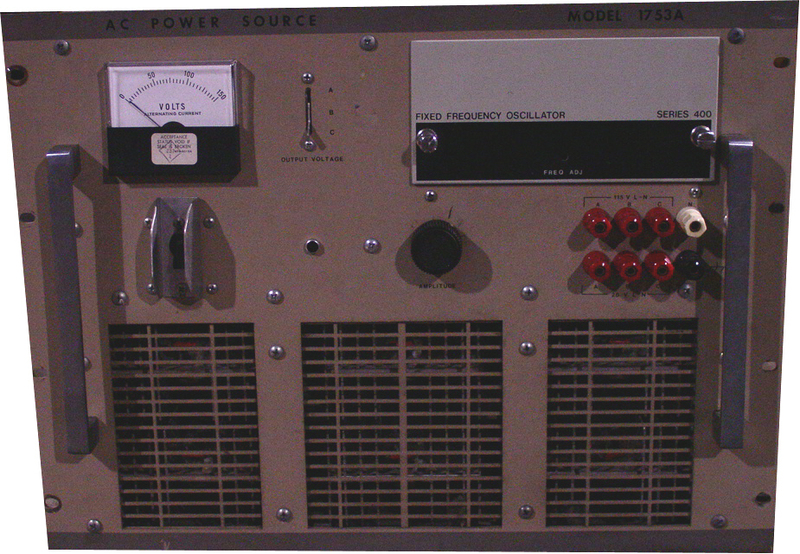 1750VA Single Phase. 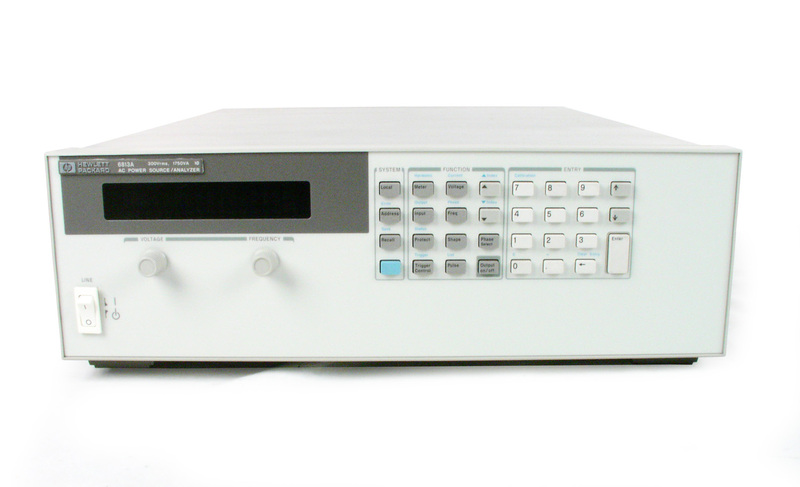 Agilent HP 6814A AC Power Source / Analyzer. 3KVA single phase. 45Hz-1KHz, 0-300V output. 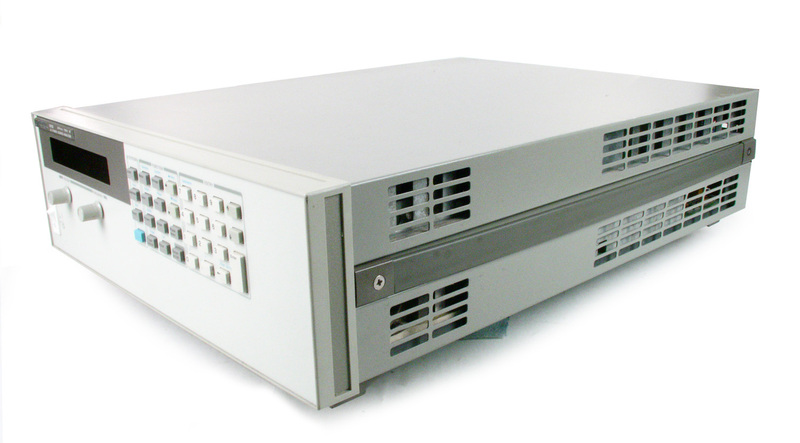 Associated Power Technologies APT 320XAC 2 kVA, Single Phase AC Power Source. DC + 40 Hz to 1 kHz. Includes Grounded Neutral and GPIB options. 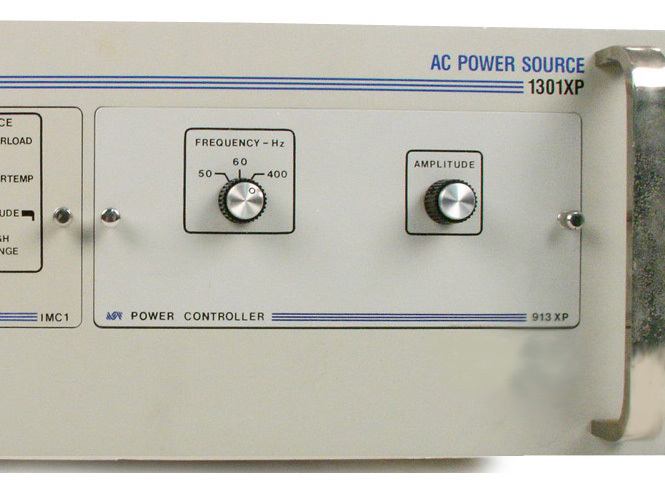 Associated Power Technologies APT Model 105 VariPLUS power converter. 500VA. 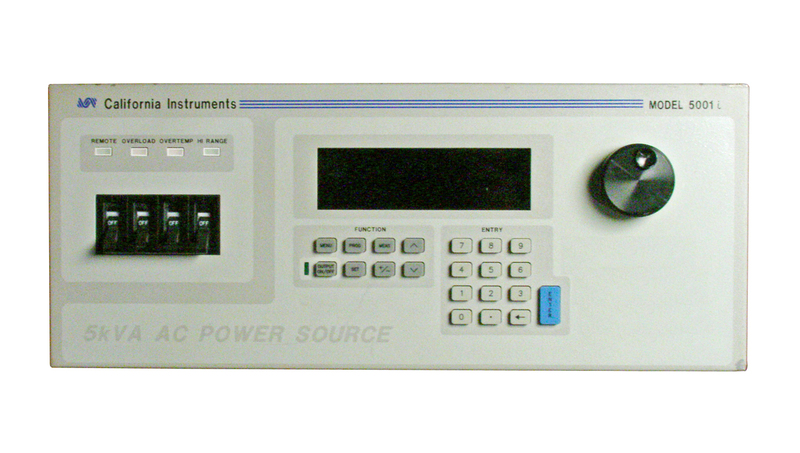 Digital Variable Transformer Variac. 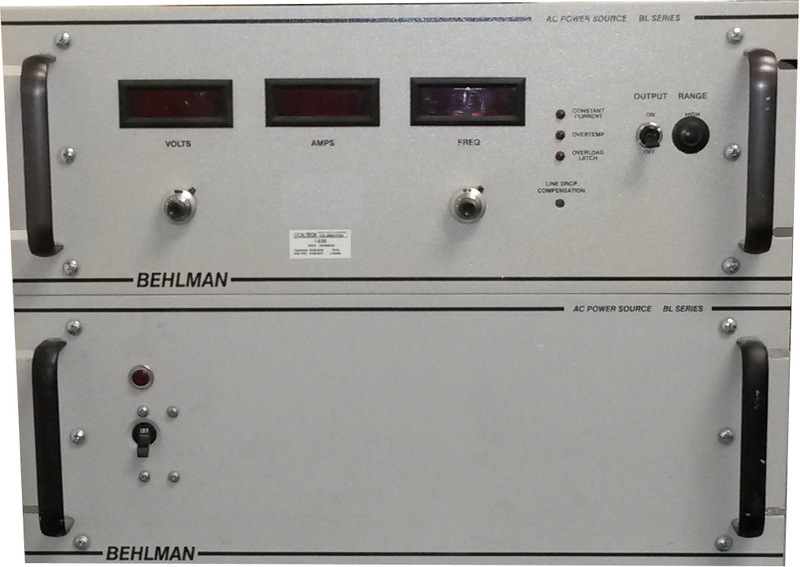 Behlman 10-A-200 0 - 32V AC Power Supply w/ OSC-1-400-k 400Hz Plug In 100 VA max. 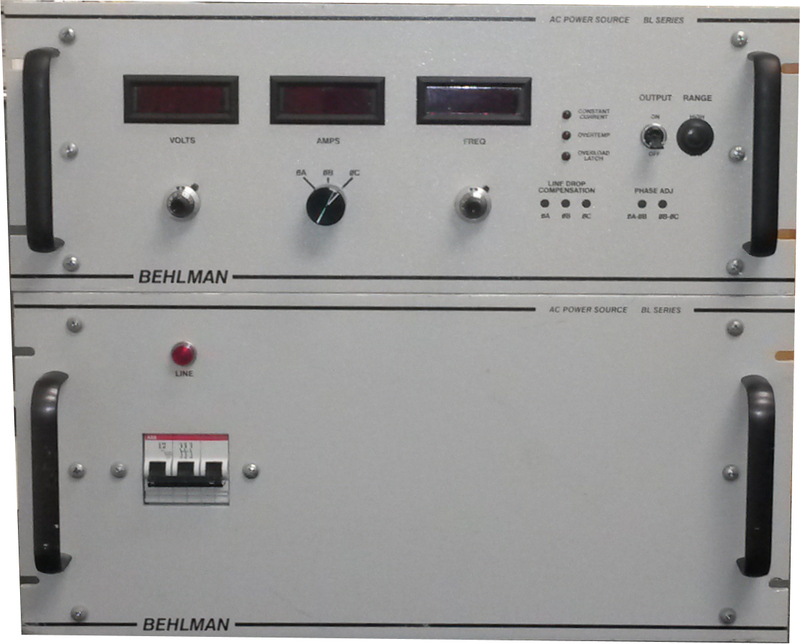 Behlman BL12000C-3-E-L AC Power Supply. 12 kVA Single Phase 45 to 1000 Hz output. Includes Extended Frequency Range option. Behlman BL3100C-1-I-L-4064 AC Power Source. 3 kVA. 45-500 Hz. 0-450VAC output. Requires 208V 3 Phase Input power. IEEE-488 option. BL3200C-9-MT-L AC Power Source. 3 kVA. 45-500 Hz. 0-270VAC output with motor test option. 115/ 230 Single Phase AC input power. 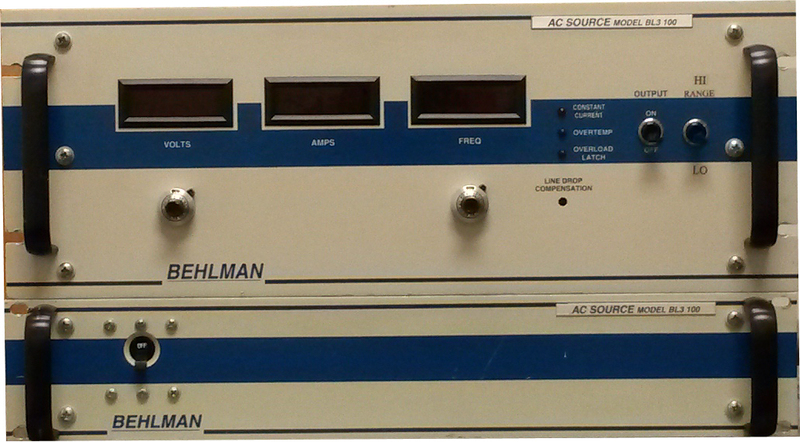 Behlman BL5000C-1-I-L AC Power Supply. 5 kVA Three Phase 45 to 500 Hz output. Includes GPIB option. Behlman BL6000C-1-I-L AC Power Supply. 6 kVA Single Phase 45 to 500 Hz output. Includes GPIB option. 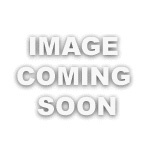 Behlman KBT-500-C-209-376-451 AC Power Supply. 5 kVA Single Phase 45 Hz to 2 kHz. 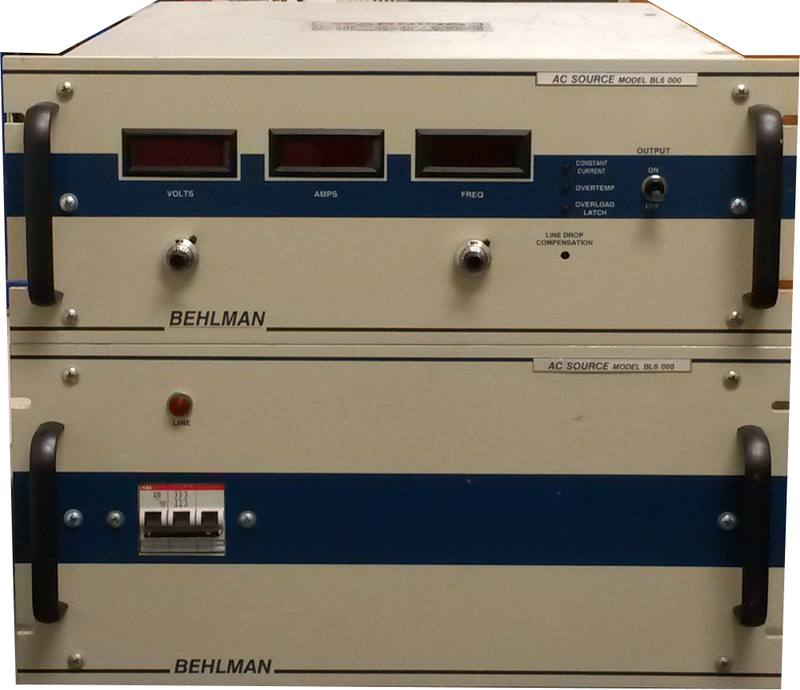 Behlman P1351 AC Power Supply. 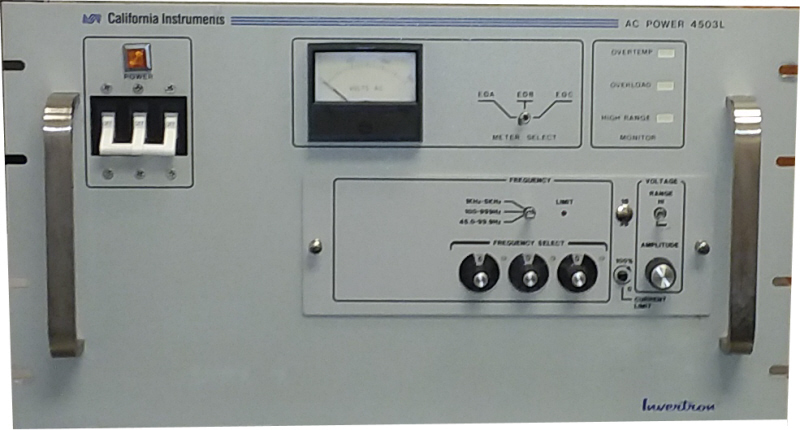 1350 VA. 45-500Hz with GPIB IEE488 option. 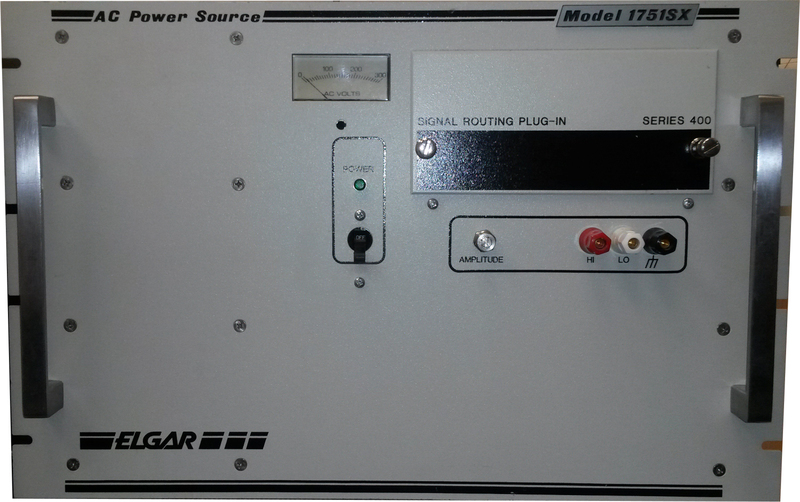 California Instruments 1251RP AC Power Source with Option IF IEE-488 / RS232C interfaces. 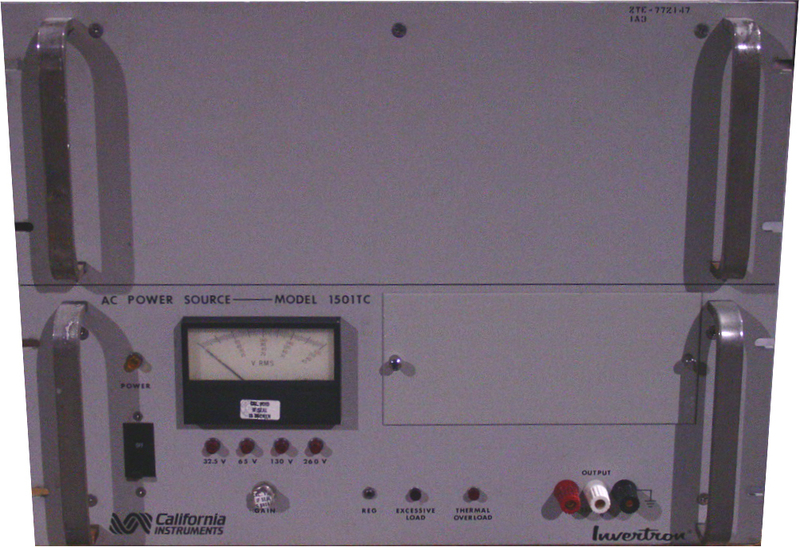 California Instrument 1301XP - AC Power Source. 1300 VA output power. Output frequency depends on plugin module sold separately. 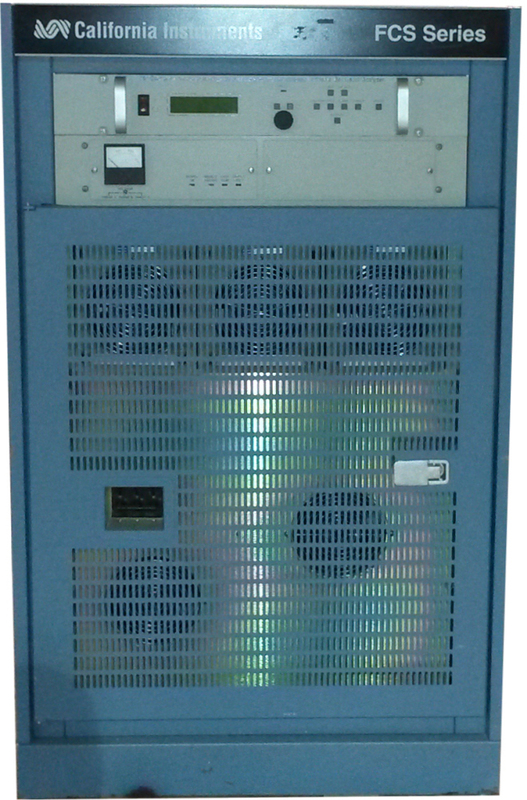 California Instruments 1501iX 3kVA AC Power Supply. 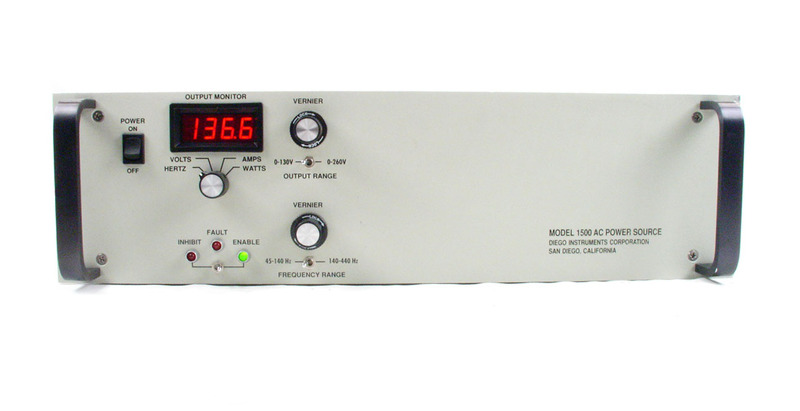 16 - 1000 Hz output 1500 VA.
California Instrument 1501TC 1500VA Single Phase AC Power Source. Requires plug-in module sold separately. 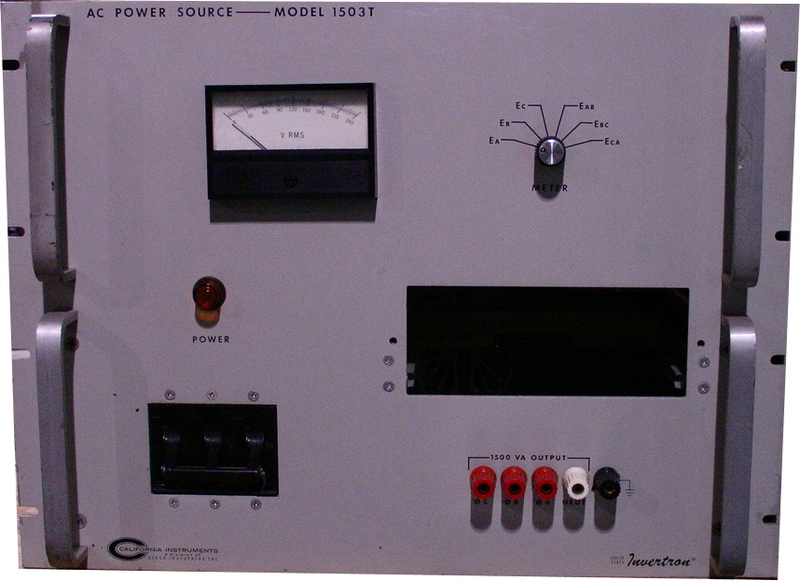 California Instrument 1503T - 1500VA Three Phase AC Power Source. Requires plug-in module sold separately. 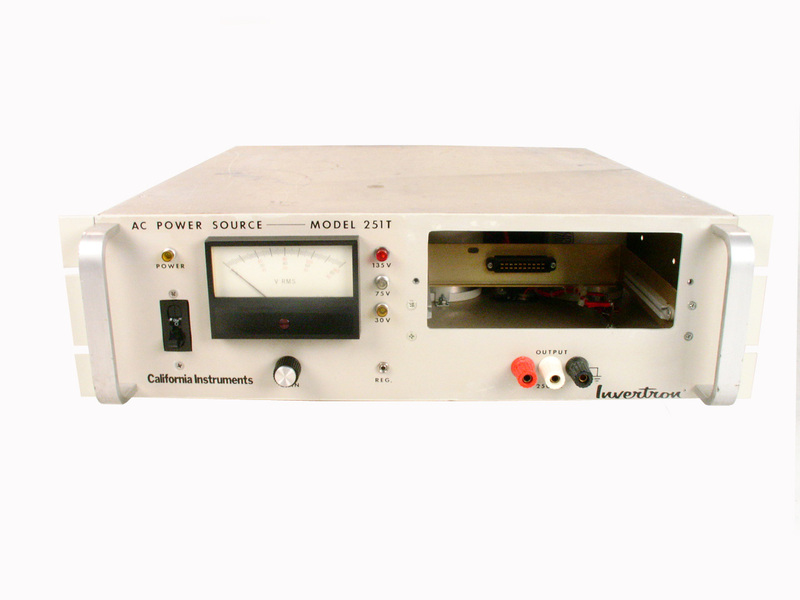 California Instruments 2001RP AC Power Source. 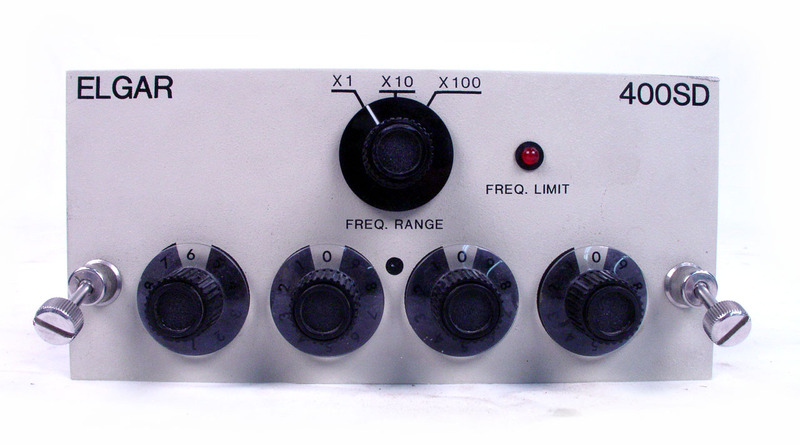 2 kVA, 16 Hz to 5 kHz. 120V single phase input. California Instruments 2001RP AC Power Source with Option package 1. 120V single phase input. California Instruments 2001RP AC Power Source with Option package 01 & SKT . 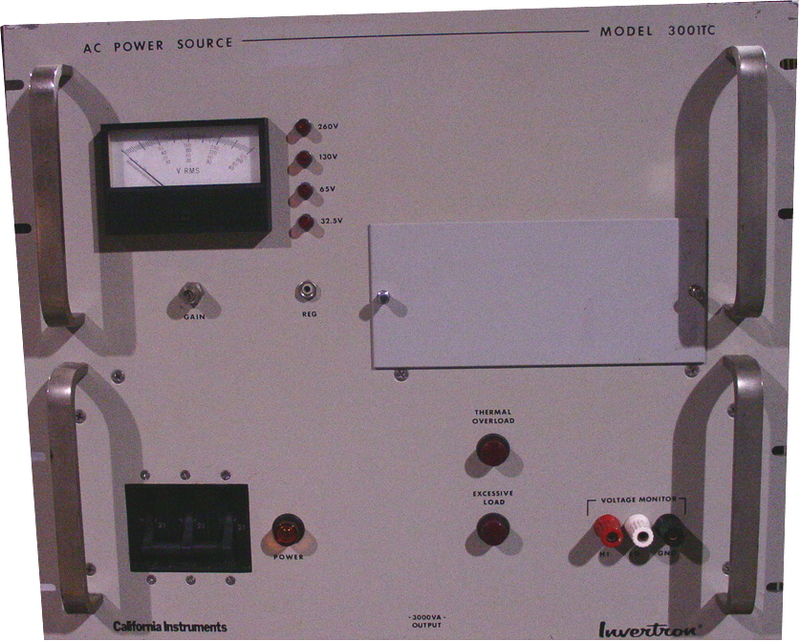 California Instrument 251T - 250 VA AC Power Source. Three output ranges 30V, 75V, 135V. 45 Hz to 20 KHz depending on Plug-in oscillator sold separately. 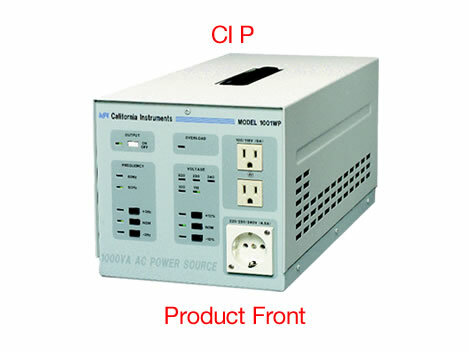 California Instruments 3001iX 3kVA AC Power Supply. 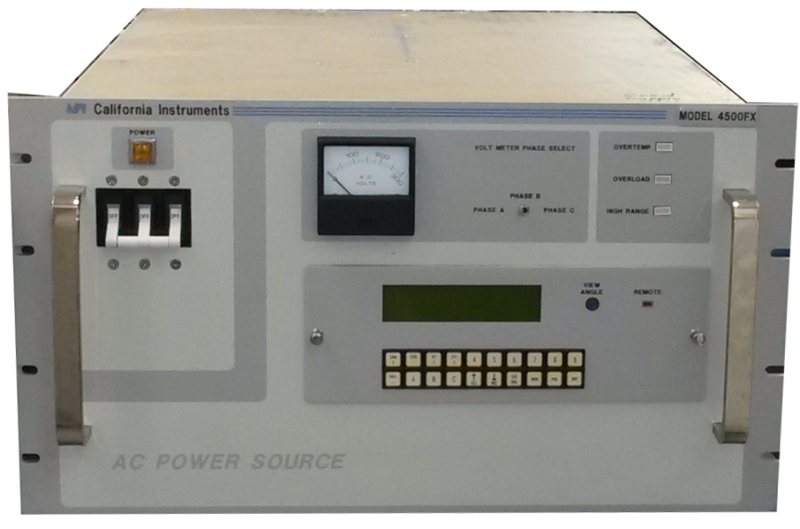 California Instrument 3001TC 3000VA Single Phase AC Power Source. Requires plug-in module sold separately. 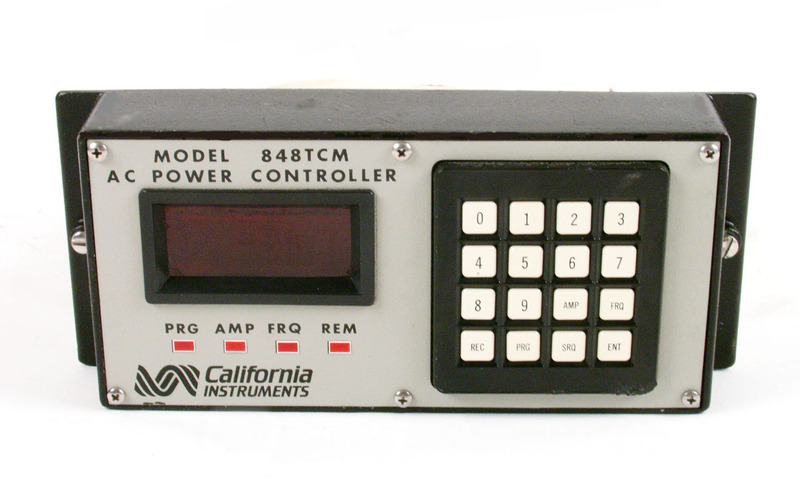 California Instrument 321XP - AC Power Source. 320 VA output power. Output frequency depends on plugin module sold separately. 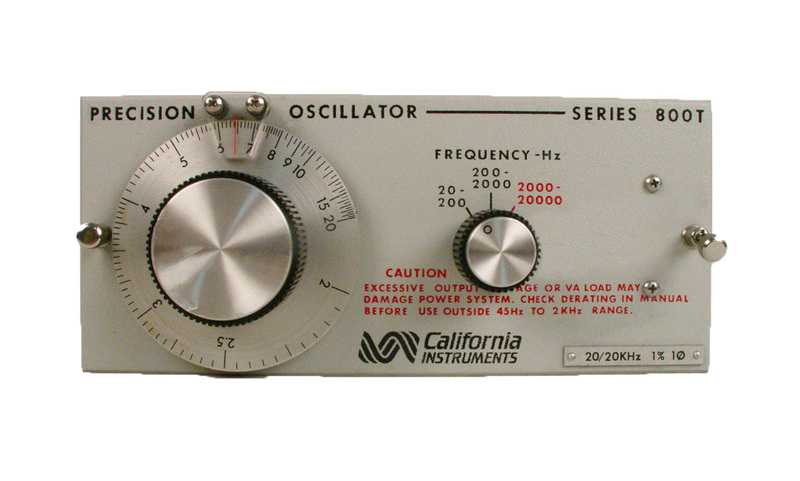 California Instruments 4500FX-1P/20 Precision AC Current and Voltage Source. Up to 270V / 20A / 500VA. 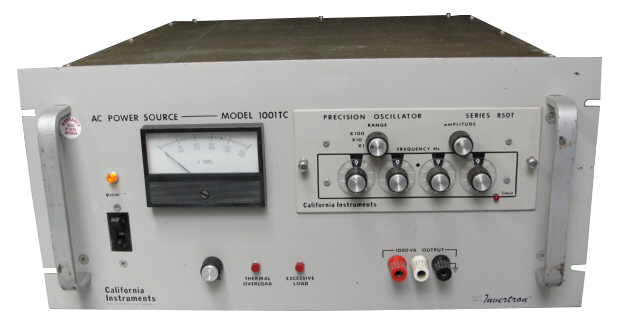 California Instruments 4503L-1M-4312 Single Phase AC Power source. Manual Controller. 45 to 550 Hz. 4500VA. California Instruments 800T. 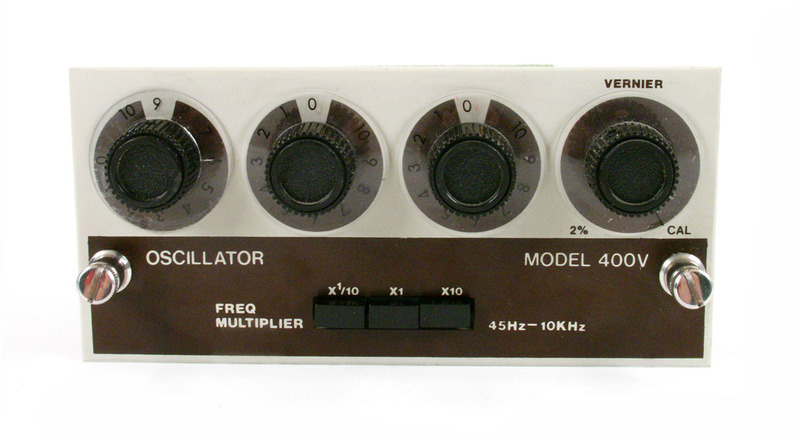 Three Phase Variable Oscillator Plug-In. 300 - 500 Hz. 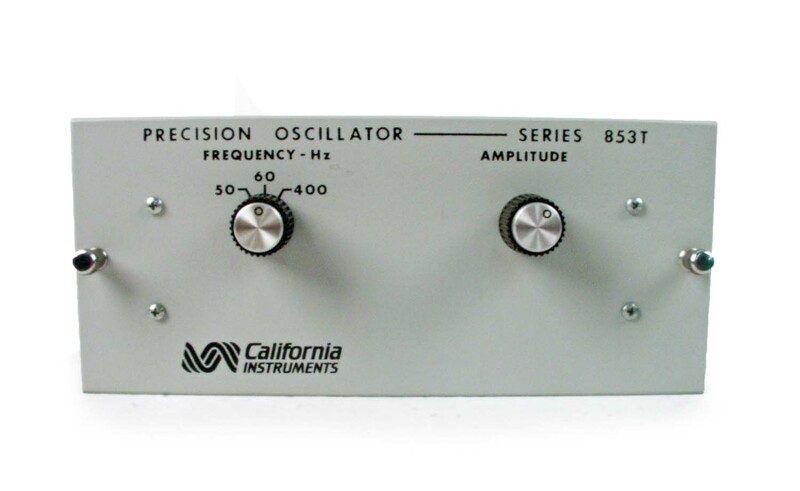 California Instrument 847T - Plug-In Oscillator 45 Hz to 9999Hz. Programmable - no manual controls. California Instruments 853T-3. 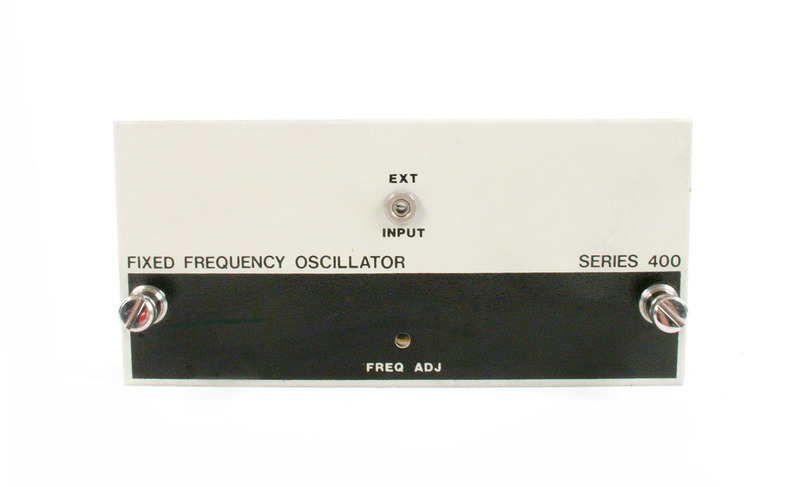 Three Phase Oscillator Plug-In. 50, 60, 400 Hz fixed frequencies. California Instrument 913XP Power Controller Plug-In module for XP series AC Power Supplies. 50 / 60 / 400 Hz. 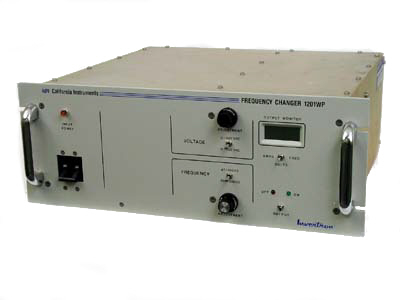 California Instruments FCS18-3HGA-4756 AC Power Supply. 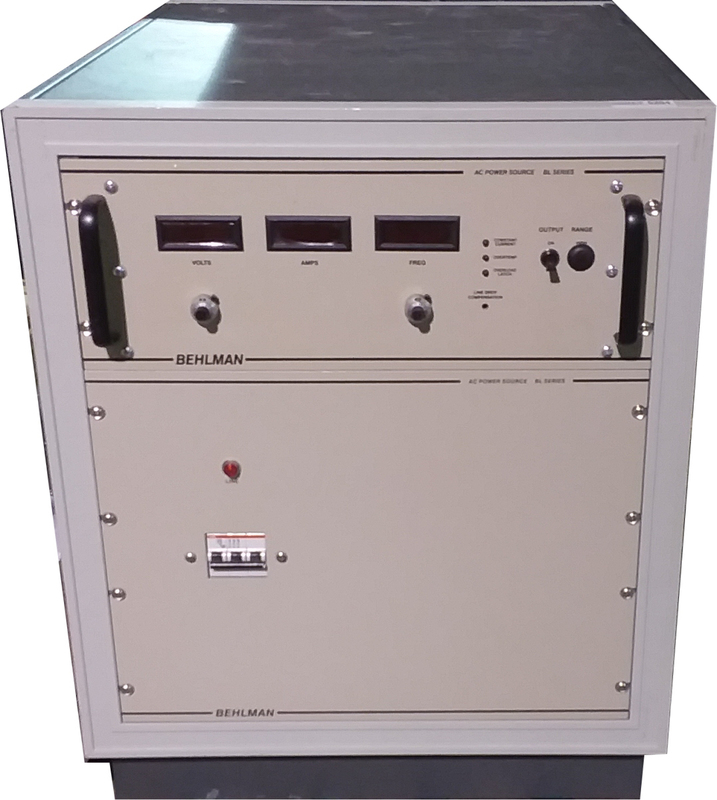 18 kVA 3 Phase with HGA Controller for waveform, harmonic, and transient generation. 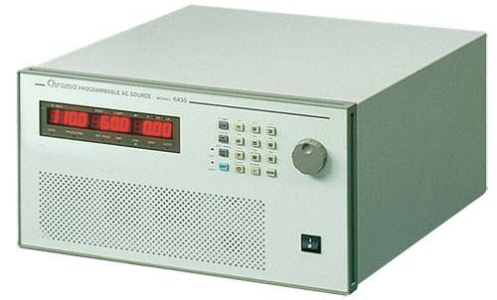 California Instruments FCS18-3P-0R AC Power Supply. 18 kVA 3 Phase 45-1200 Hz. 0-135V/Phase. Programmable controller with output relays option. Chroma 6404 AC Power source. 375 VA. 45-500 Hz. Chroma 6408-2 AC Power Supply. 800 VA. Single Phase. 45-500 Hz. 180-250VAC input line voltage. Chroma 6408-1 AC Power Supply. 800 VA. Single Phase. 45-500 Hz. 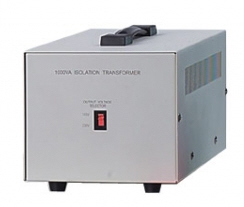 Chroma A190314 Quadtech G32 1000VA Isolation Transformer. 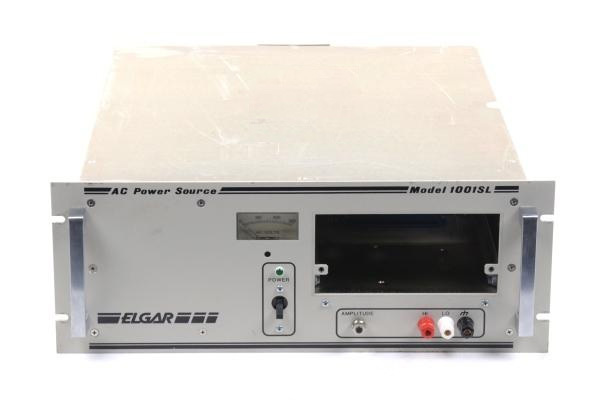 Elgar 1001B AC Power Source. 1000VA. 45 Hz to 5 kHz depending on oscillator plug-in sold separately. 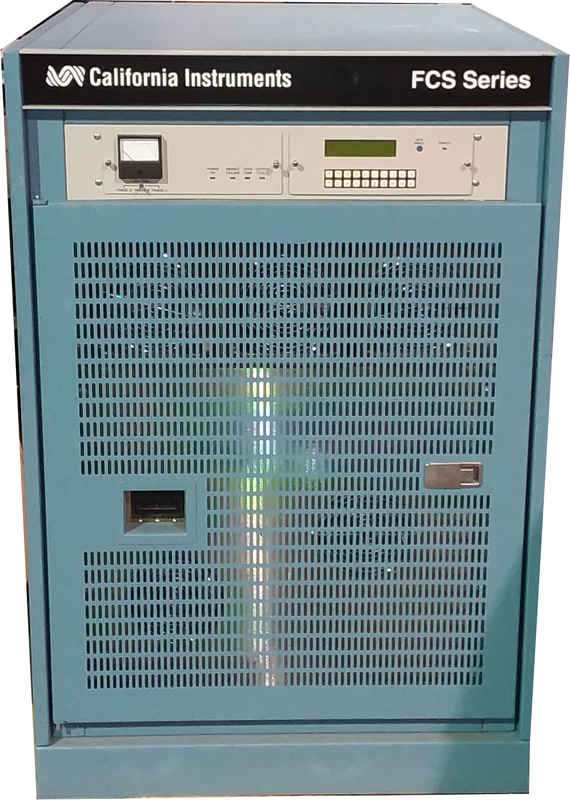 Elgar 1203SL 1200VA Three Phase AC Power Supply mainframe with series 704 PIP controller and test option. 45 Hz to 1 kHz. 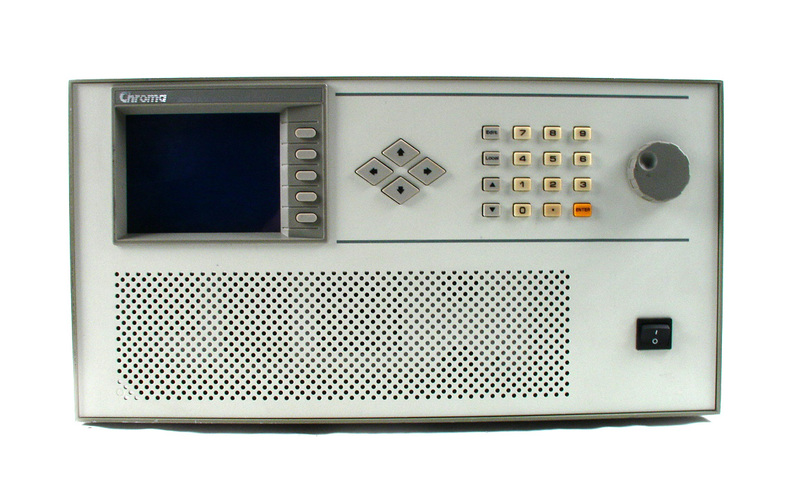 Elgar 1203SL-XXTD-103 1200VA Three Phase AC Power Supply mainframe with series 9023 PIP controller, Test and Disconnect options. 45 Hz to 5 kHz. 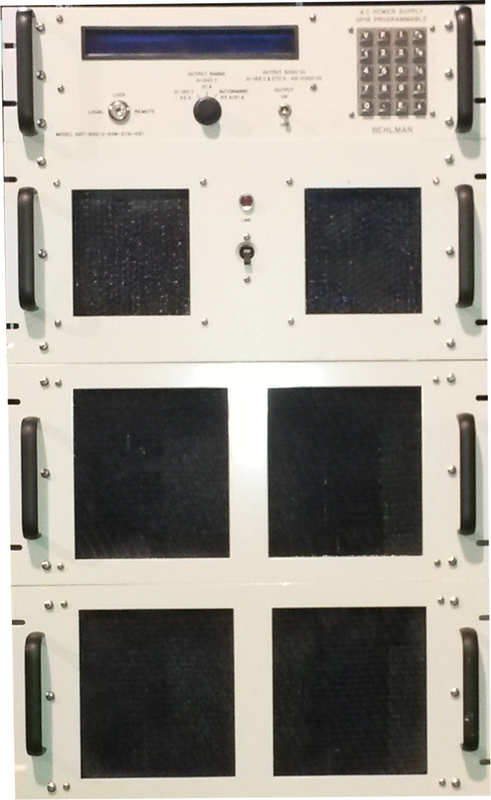 Rack system with three model 1751 AC Power supplies and a three phase 400 Hz oscillator. 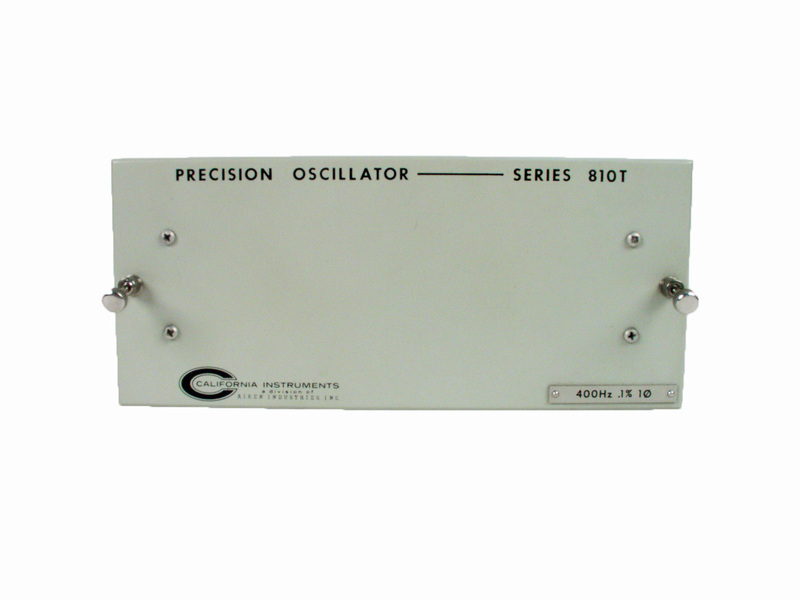 Please contact us for the availability of other oscillators / frequency ranges. 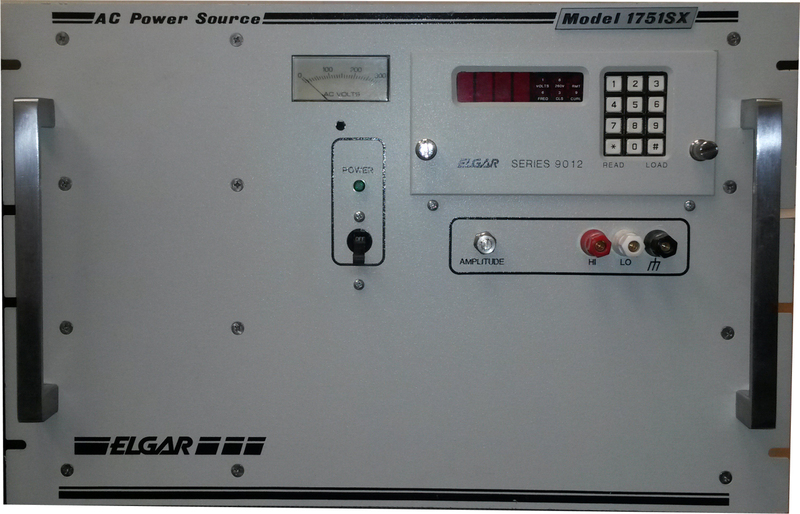 Elgar 1751SX-00-TDP-124 AC Power Supply with 9012 programmable oscillator included. 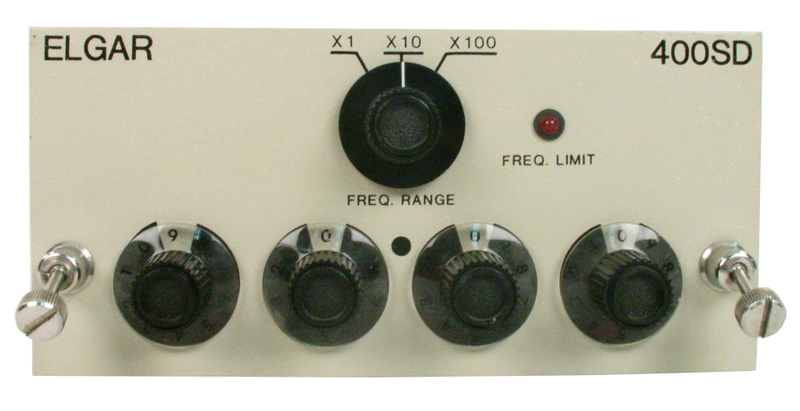 Single Phase 1750 VA, 45 Hz to 1 KHz. GPIB. 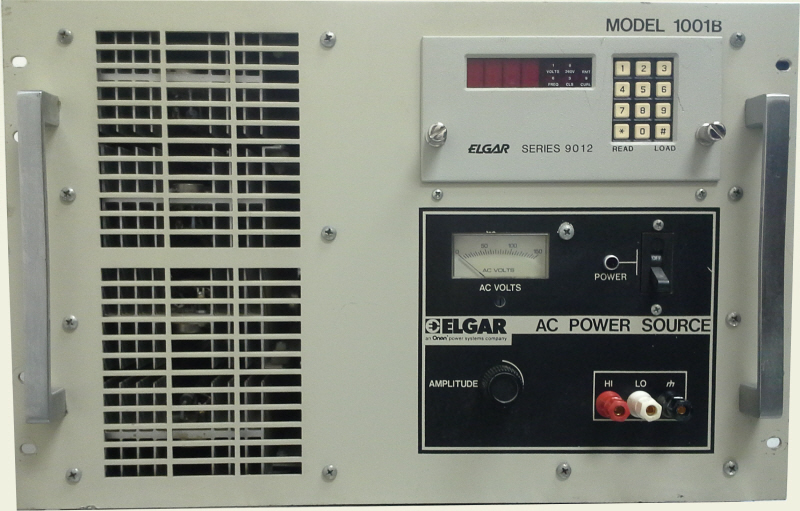 Elgar 1753A - AC Power Supply. 1750VA Three Phase. Requires plug-in sold separately. 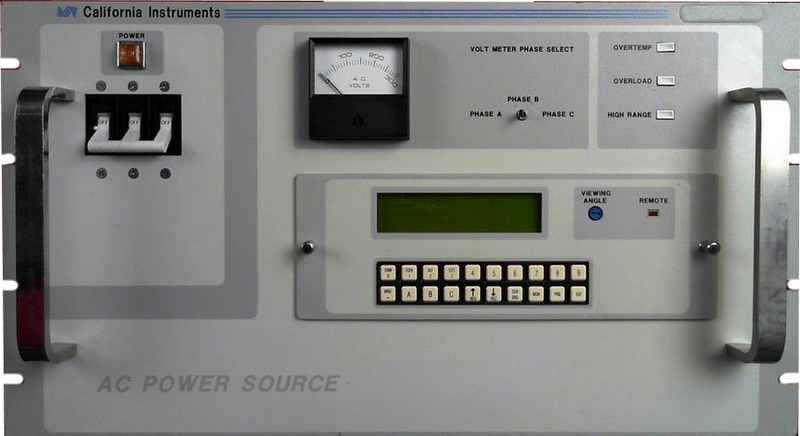 Elgar 2253SL AC Power source mainframe. 2250VA / 750VA per phase 0-130/0-260V output. 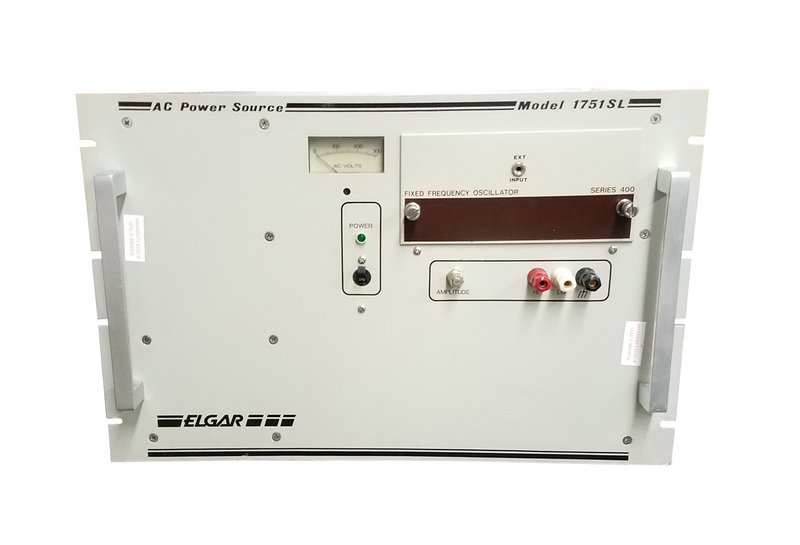 Elgar 251B-144 250 VA AC Power Source. 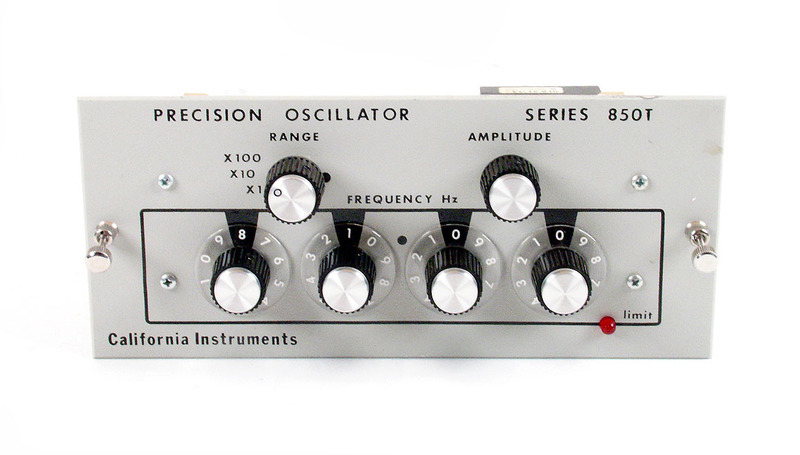 45-5000 Hz Oscillator sold separately. Output Ranges: 0-32, 0-130, 0-260V.